Advances in the management of patients with head and neck squamous cell carcinoma (HNSCC) have not significantly changed the prognosis of this tumor over the past five decades. Molecular heterogeneity of HNSCC and its association with HPV, in addition to the increase in the number of cancers arising in traditionally low-risk patients, are among some of the obstacles to the successful management of this group of tumors. Massively parallel sequencing, otherwise known as next-generation sequencing (NGS), is rapidly changing conventional patient management by providing detailed information about each patient’s genome and transcriptome. Despite major advances in technology and a significant reduction in the cost of sequencing, NGS remains mainly limited to research facilities. In addition, there are only a few published studies that have utilized this technology in HNSCC. 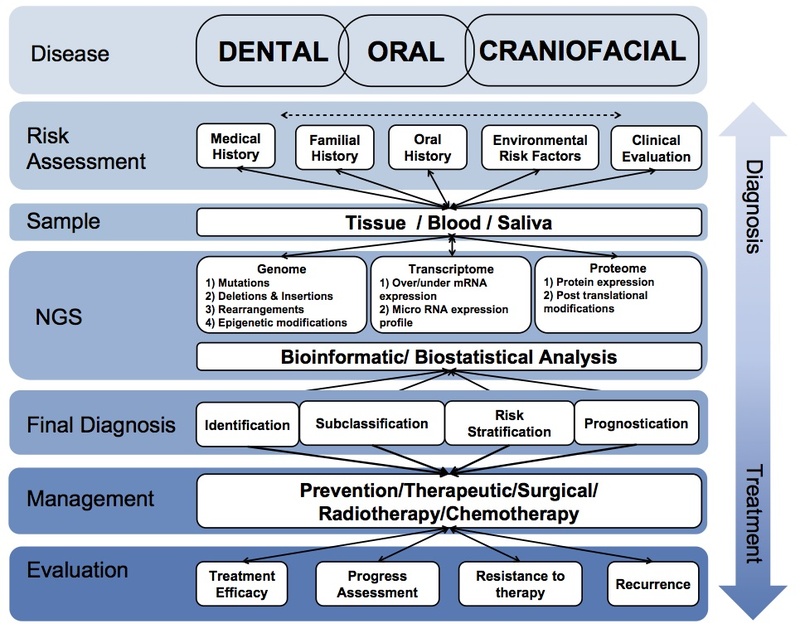 This paper aims to report briefly on current commercially available NGS platforms and discuss their clinical applications, ethical considerations, and utilization in personalized patient care, particularly as this relates to head and neck cancer. Judy Campisi – Cancer and Aging: Rival Demons? Enjoy Judy Campisi’s plenary talk about the relationship between aging and cancer. New CALTECH Research Provides Framework for Improving Cancer Diagnosis and Treatment. A team of researchers at the California Institute of Technology have designed a new approach to killing cancer cells by using ‘programmed’ RNA molecules. The process, developed by Niles Pierce uses small RNA molecules that can be programmed to attack only specific cancer cells; then, by changing shape, those molecules cause the cancer cells to self-destruct. It’s common knowledge that chemotherapy patients experience debilitating effects as a result from the cancer drugs that they are prescribed. These medicines attack not only the cancer cells, but unfortunately also normal, healthy cells. According to Pierce, its better to create drugs that can make the distinction between cancer cells and healthy cells and then once identified, wipe them out completely. In other words, produce molecules that diagnose cancer cells before destroying them. Not only could this type of therapy do away with the side effects associated with conventional chemotherapy treatments, it could also be tailored on a molecular level to individual cancers, making it uniquely specific. Recent advances in DNA research suggest that whole genome sequencing can actually be used as a diagnostic tool to better understand how to treat serious illnesses such as cancer. Cancer tumors occur when normal cells acquire genetic mutations that let them grow out of control. Through genetic sequencing, scientists can now identify variations that will show the likelihood of an individual to develop certain kinds of cancer and even how these mutations would react to certain treatments. This important research has led to the successful sequencing of hundreds of cancer genomes – just in this past year. This offers new hope and a possible new direction for personalized cancer treatment. In a recent study, Dr. Steven Jones and his team of researchers implanted a patient’s cancerous tumor cells into a mouse to hypothesize about which drugs would work best using the model created from the genome analysis, and test those drugs on the mouse before trying them in the patient. The chosen drug made the patient’s tumor growth stop for eight months. The research was published last month in Genome Biology. The problem with using genome sequencing as a ‘marker identifier’ in the past had been mainly one of cost. Not anymore – For a state of the art, personalized approach, tumors can now be viewed with extraordinary detail at a cost of only $10k – $20k which is about the same cost as a few MRI scans! Even though some scientists feel that genome sequencing to help patients suffering from diseases like cancer is too preliminary and that its success will be difficult to evaluate, others feel that when patients have no other options, the genetic information could be an important piece of data that might help decide which treatment would work best – possibly saving lives. In my opinion, such an analysis should be done not only in rare cancer cases, but every time for every patient. Read more about Treating cancer based on its genome.